Tvoja korpa je prazna ! 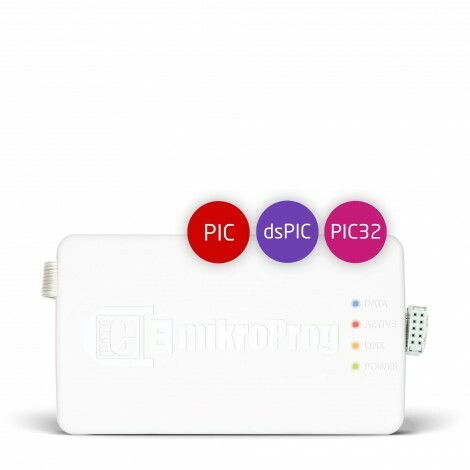 mikroProg for PIC, dsPIC and PIC32 is a fast USB 2.0 programmer with mikroICD hardware In-Circuit Debugger. Smart engineering allows mikroProg to support PIC10, PIC12, PIC16, PIC18, dsPIC30/33, PIC24 and PIC32 devices in a single programmer. It supports over 1000 microcontrollers from Microchip. 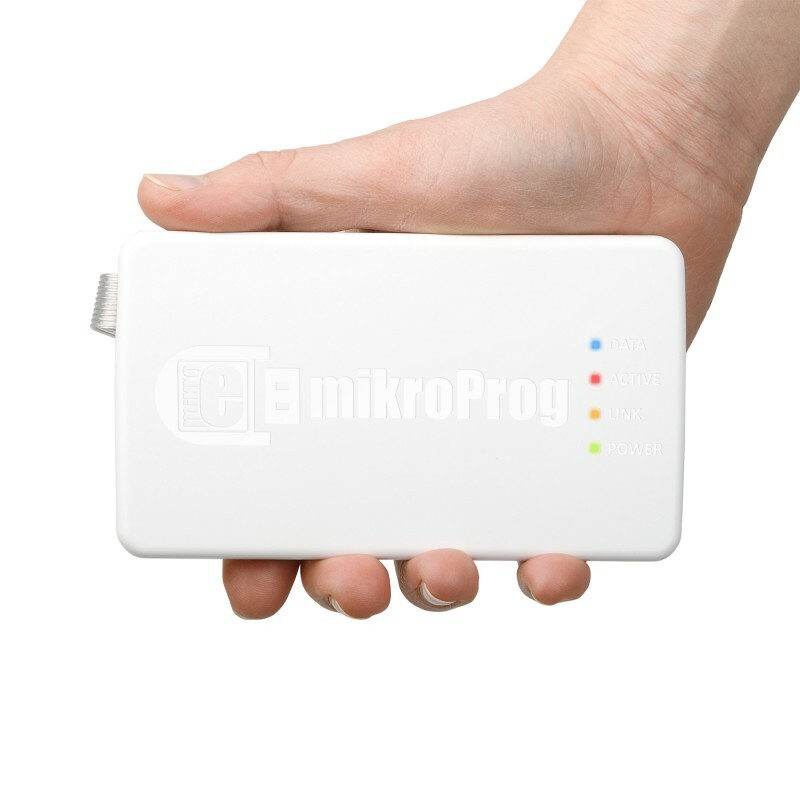 mikroProg for PIC, dsPIC and PIC32 is a fast USB 2.0 programmer with mikroICD™ hardware In-Circuit Debugger. Smart engineering allows mikroProg to support PIC10, PIC12, PIC16, PIC18, dsPIC30/33, PIC24 and PIC32 devices in a single programmer! It supports over 1000 microcontrollers from Microchip. Outstanding performance, easy operation and elegant design are it’s top features. Debug your code and monitor code execution on the chip itself. mikroProg™ technology brings the power of hardware debugging to your favorite compiler. Compiler Compatibility mikroProg™ is supported with mikroC™, mikroBasic™ and mikroPascal™ compilers for PIC®, dsPIC® and PIC32®. Choose the flavor that you like the most. We have done major enhancements in programming and debugging algorithms, and boosted programmer electronics to make it all possible. And the results are stunning! mikroProg™ is up to 400% faster than LvPICFlash. mikroProg™ has native support for mikroICD™ - hardware step-by-step In-Circuit Debugging in mikroElektronika compilers. It supports Step-over [F8], Step-into[F7], Step-out[Ctrl+F8], Run[F6] Run To Cursor[F4] debugging operations, as well as standard and advanced breakpoints. With mikroProg™, single firmware takes care of all supported architectures. Supporting new microcontrollers is easy. Just by downloading the latest version of mikroProg Suite™ your programmer is ready to program new devices. mikroProg™ can provide power supply to your target board. Using mikroProg Suite™ Software, or directly from your compiler you can set the voltage level to be generated for you. It can provide up to 150mA of current in the voltage range from 1.8–5V. 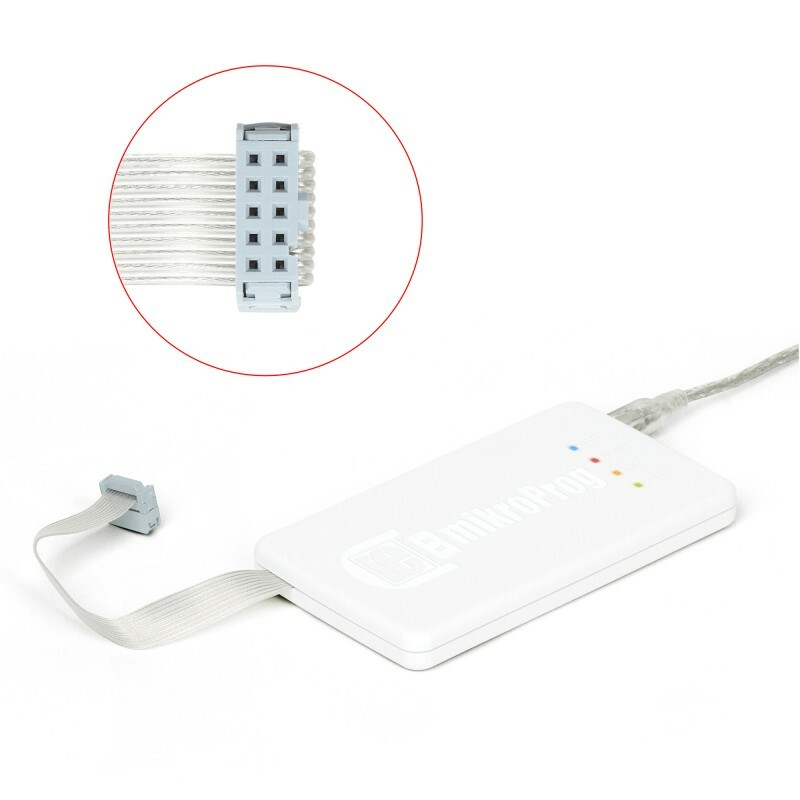 If you have already integrated previous programmer connector in your device, don’t worry. mikroProg™ retained the original connector pinout. Use front row of the connector (next to the knob) when programming mikromedia boards.